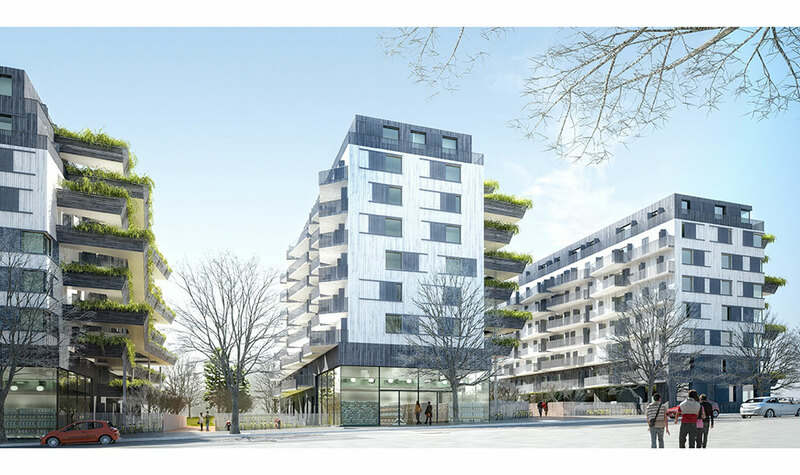 In order to create visual openings, perspectives and vistas from Avenue Laplace to the planted park and the detached house with gardens in the south, we chose to site three apartment buildings at right angles to Avenue Laplace. 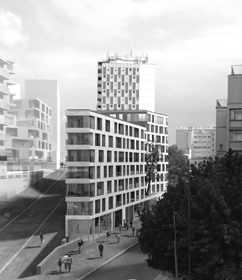 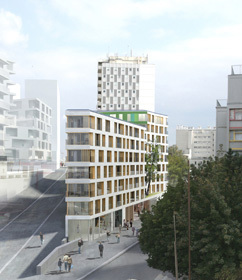 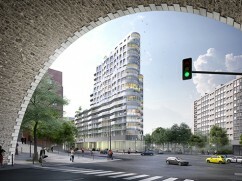 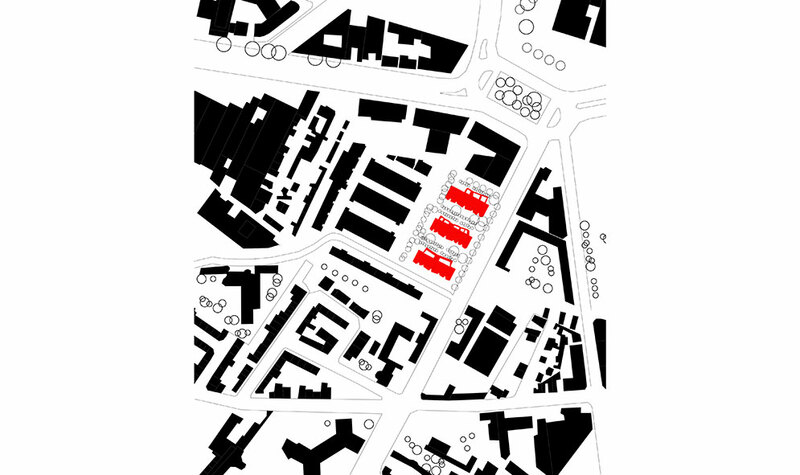 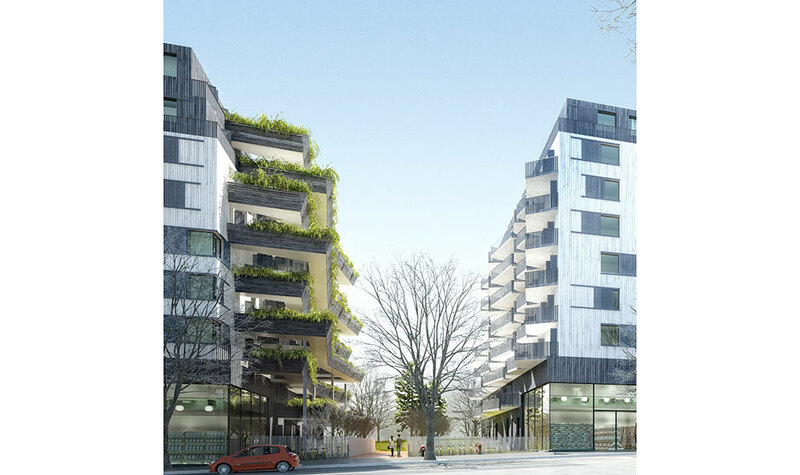 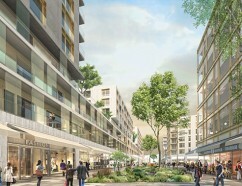 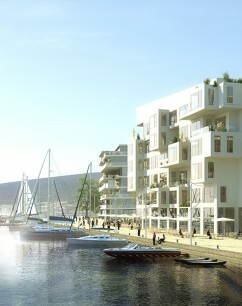 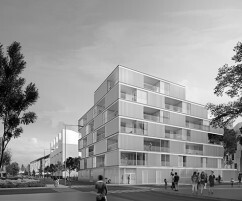 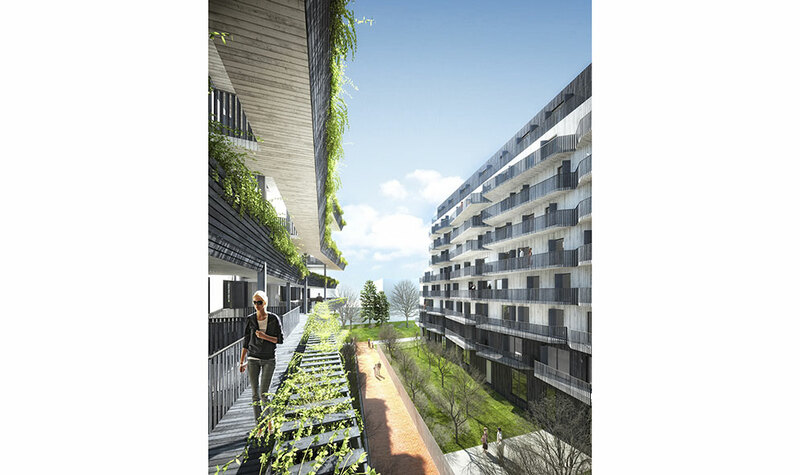 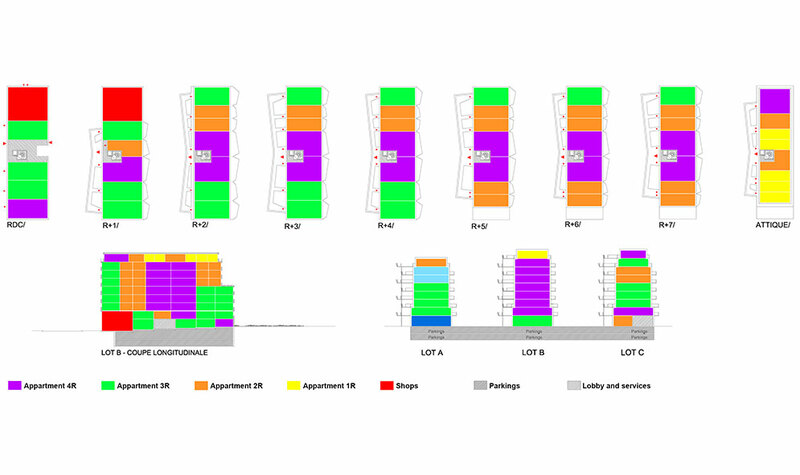 Our proposed scheme attempted to meet the aims of upgrading and diversifying the area’s housing stock by providing eight storeys of vertical garden-homes which open onto large terraces on the South-East and onto planted walkways separated from the façades by large voids on the North-West. 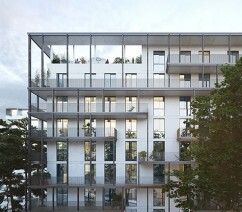 All apartments in the project’s three lots pass through the buildings from one side to the other and, on each side, they have façades that are in visual contact with the narrow passages of greenery, with both private access to the planted walkways that create a threshold for their respective dwellings and large balconies that extend the living-rooms to the outside.